Bank Valuation vs Market Valuation: What's The Difference? 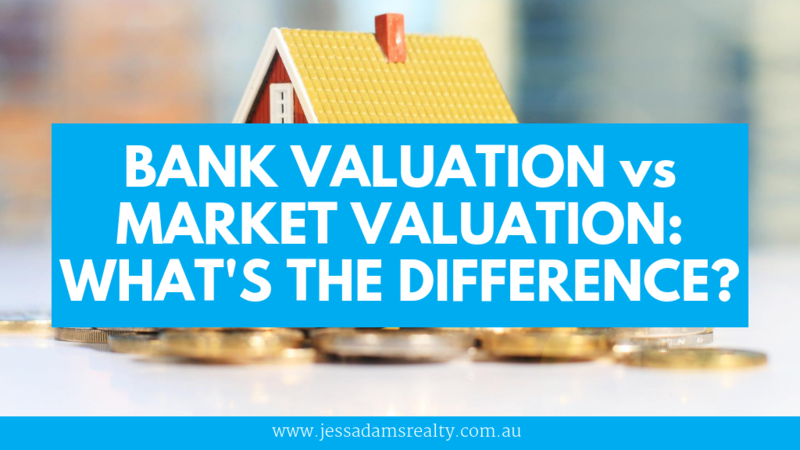 BANK VALUATION vs MARKET VALUATION: WHATS THE DIFFERENCE? Did you know that there are two potential values for your property? Your home can be sold for two different prices, depending on the circumstances and the parties involved. This is as a result of the different approaches used by market valuers and bank valuers. Many homeowners don’t compare the differences of a bank valuation vs market valuation. As a result, they end up feeling deceived or cheated when the bank valuer comes back with a lower value that affects their ability to access loans. To understand the differences between these two, you need to understand what goes into each type of valuation and the factors contributing to their different approaches. Valuation in the real estate world refers to a process used to determine the probable price of a house, a piece of land or commercial property. It’s an appraisal conducted by a professional real estate valuer. The valuer will assess your property noting its features, the location and neighbourhood. He or she will then compare your property to other properties with similar features in the same market and estimate the amount it would attract if it were to be sold. In simple terms market valuation is an estimation of the highest possible price that a buyer would be willing to pay for your property if it were to be put on sale at the time. Market valuation takes into account a number of factors which include; the season (peak or off-peak), market trends, buyer demographics, the location of your property, indoor and outdoor features, size and age of the property. A market valuation should be conducted by an experienced real estate agent or valuer, who has a good understanding of particular markets and buyer behaviour. If you want to know the value of your property, your best option is to consult a local real estate agent. If you are looking to be involved in Denmark or Albany Real Estate then Jess Adams @realty might be for you. This type of valuation is the least understood by property owners. It is conducted by a financier through a property valuer. Often, when you approach a bank or a lender in a bid to secure a loan, the lender will send a valuer to your property in order to get an estimate of your property’s value. This type of valuation is mainly useful to the lender since they have to ensure they can recover their money, in case you’re unable to pay up as agreed. A bank valuation determines whether you qualify for a loan or not. If your property’s value ends up being too low in comparison to the amount of loan you’ve requested, the lender might be compelled to refrain from financing you. Often, borrowers who find it difficult to pay for loans are required to surrender their property’s legal documents. The lender then sells the property as a means of recovering the defaulted loan. A bank valuation is more often than not, lower than the market valuation because a lender does not take into account factors such as real estate psychology, emotions affecting buyers and real estate peak and off-peak seasons. They simply focus on a property’s features, current market price, its location and council zoning. If the bank was to sell your property, it would be a ‘distress sale’. They are trying to mitigate an existing risk. This means the banker does not have time to apply cosmetic renovations to your home. The lender is also under pressure to recover your loan and must therefore sell as soon as possible whether the season is favourable or not. If you, on the other hand decide to sell your property, its value will be higher than that of the lender because you have time to stage the house and wait until the time is ripe to sell. You may also approach the selling process with an open mind, hoping for the highest of prices while the banker is just interested in attaining a specific amount. A bank valuation is more useful to the lender than the property owner, while a market valuation is favourable to the owner. As a result, the lender will lack any emotional attachment to the house. They will try to be as objective as possible when conducting the valuation while the owner will try to be as optimistic as possible during the market valuation. One of the key differences between a market and bank valuation is that the latter takes into account important market trends while the former does not. The bank is more concerned about numbers, a bank valuation will therefore consider factors such as agency commission, taxes, legal fees and amount loaned to the owner. This explains why a bank valuation leads to lower estimates given that property prices are highly dependent on qualitative rather than quantitative factors. For instance, two houses with exactly the same features in the same location may perform differently if sold during different times of the year. A seller is likely to attract more bidders during summer than during winter. This in turn affects buyers’ emotions leading them to bid competitively since more people are competing for the house. Can You Influence The Value Of Your Property? Influencing the value of your property is not only achievable but also necessary. There are factors that will definitely impact the valuer’s opinion on your property. If a valuer walks into a muddy driveway through an old gate covered in chipping paint, do not expect a good result, whether he/she has been sent by a bank or a real estate agency. You have to view the valuer as a potential buyer. What would impress a modern buyer and compel them to buy your home? The valuer may try to be objective but he/she is a human being driven by emotions. Like a guest visiting your house, he/she will pay attention to first impression as well as the general look and feel of your home. Click here for some easy tips on how to increase your properties value on a budget. How Can You Increase The Value Of Your Home? To increase the value of your home, necessary renovations are required. Refresh the walls with a new coat of paint and clean up both the outside and inner areas of the home. During the valuation day, ensure you present a tidy and modern home. You can learn more about (how to to increase the value of your home) by reading our article on this topic. Besides the appearance of your home, valuers are human beings who can easily be affected by your attitude and etiquette. Handle them as you would, a buyer and be of assistance where necessary. In addition, conduct your research and have your legal paperwork in order. Your research should entail understanding current market prices and the things that make a home superior. In a nutshell, you form part of your home’s value, therefore present yourself and your family accordingly. If you are interested in selling or buying property in the Albany and Denmark area, consider working with experienced Albany Real Estate Agents or Denmark Real Estate Agents from Jess Adams @realty. Please fill in the form below or give us a call to discuss your needs. Consultation is free and we’d be happy to help.